New to multi-pitch rock climbing? Start here! Our Intro to Rock Climbing course is divided in two modules of four lessons each. The first module focuses on fundamental rock climbing techniques and procedures in the context of outdoor and multi-pitch climbing, while the second one expands your versatility as a climber! You can take the first lesson without committing to the rest of the course - it’s the best way to try out our program and see if it’s right for you! 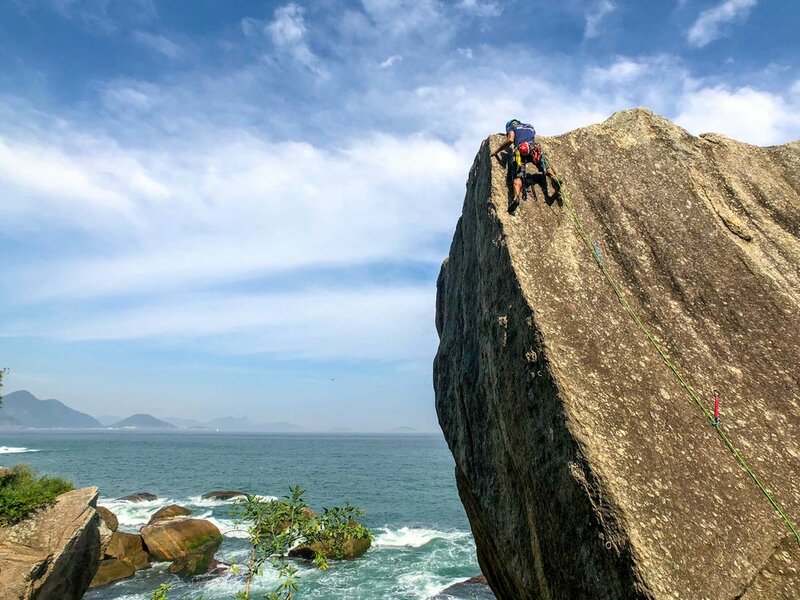 Besides the mountains in Urca - Babilônia, Morro da Urca and Sugarloaf - we also take you to Contraforte do Corcovado, Cantagalo, Chaminé do Prego, Platô da Lagoa and Pedra do Urubu. In fact, no two lessons are in the same location! Other courses take all their students to the same pre-selected routes. We, however, always choose the routes according to your abilities. We aim to challenge you, at the right level. As such, you climb harder and evolve faster! See below for options to expand or refresh your skills! Want to refresh your basic rock skills? Whether it’s an overall review that you need, or an in-depth focus on a specific skill, we have you covered!